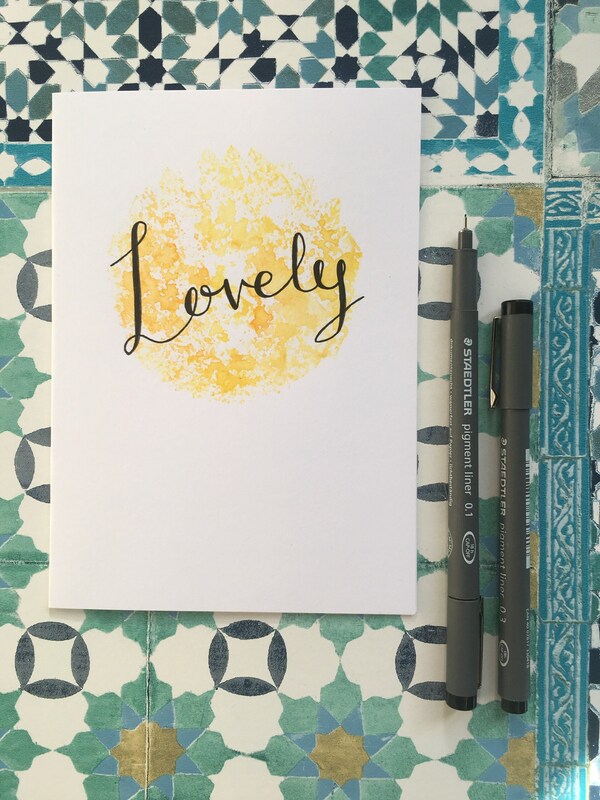 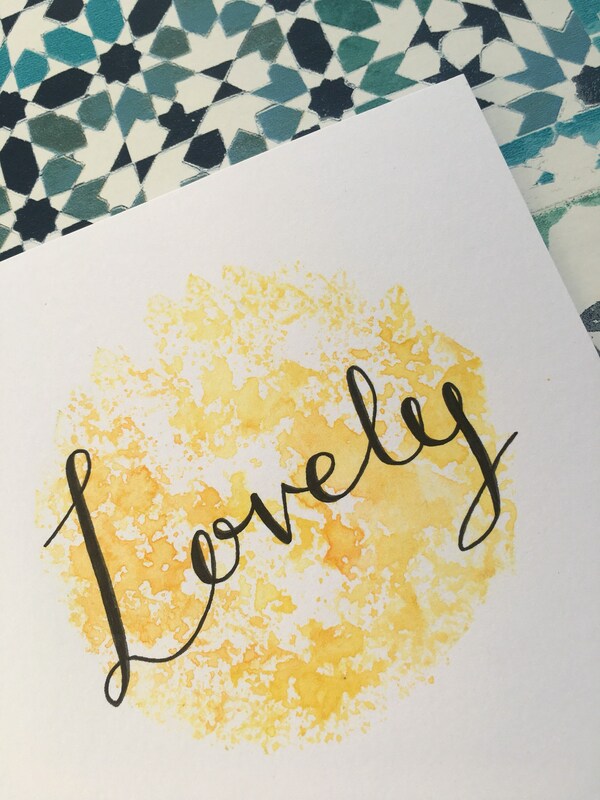 This very lovely card was made using a hand cut stamp and stencil to create the textured yellow circle. 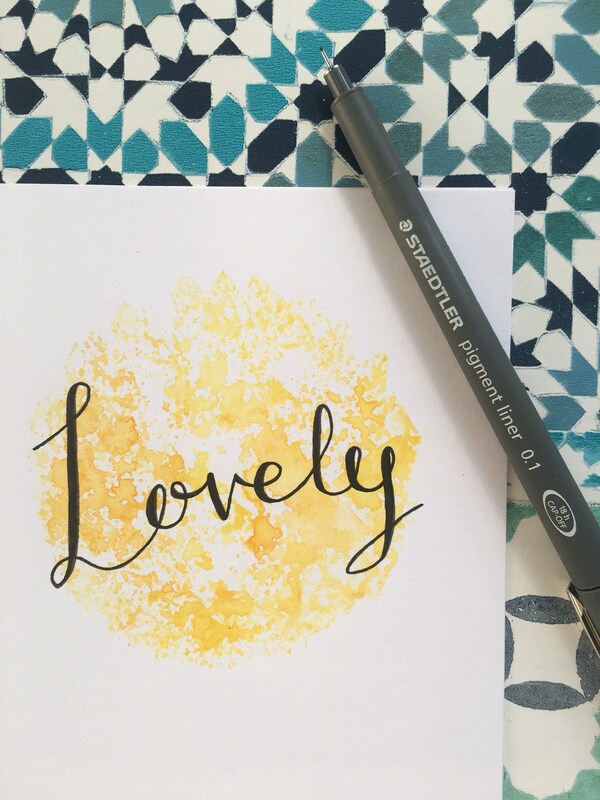 The text is carefully written by hand across the centre. 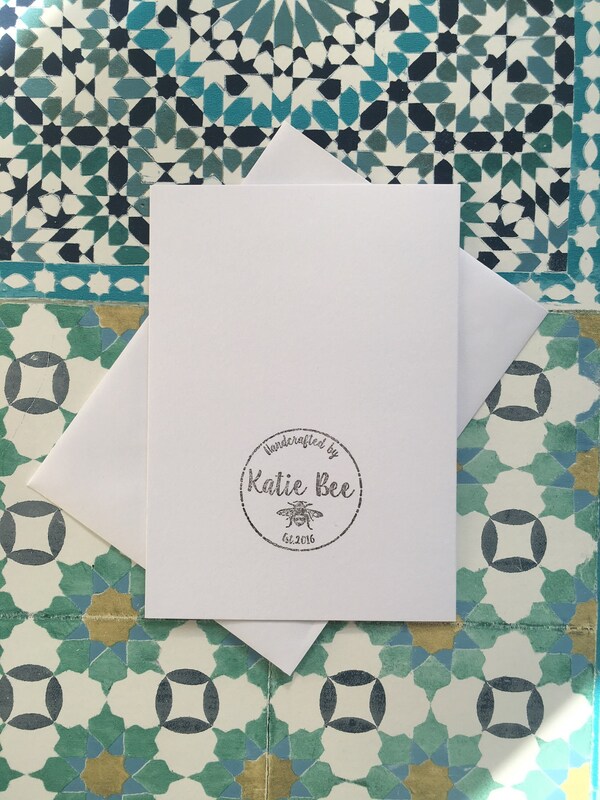 The 250gsm white card is 5” x 7” and comes with the Katie Bee logo stamped on the back! 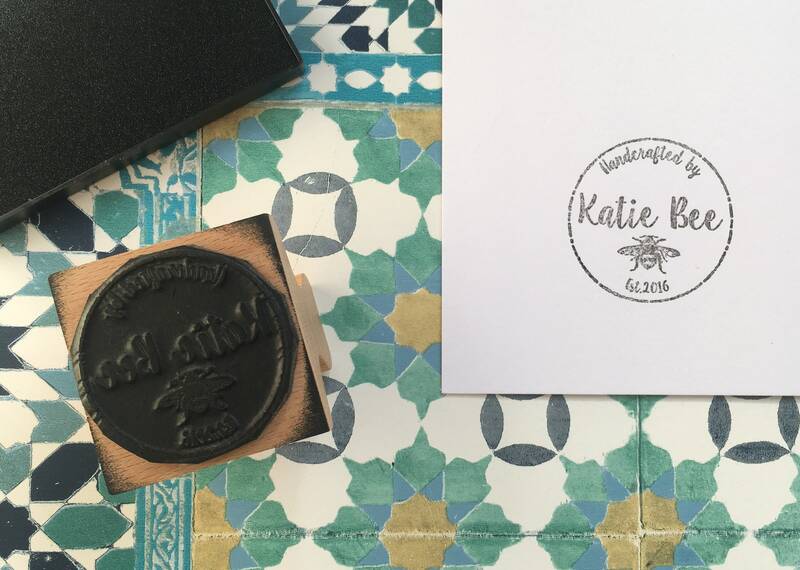 A crisp white envelope is included with your card and comes in a sealed cellophane wrapper and packaged in a beautiful paper bag. 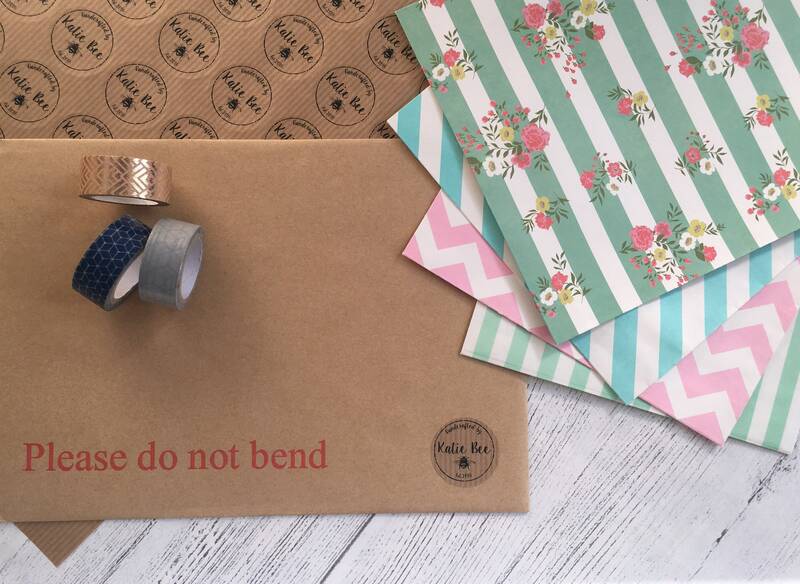 A hard back envelope ensures your card will travel safely to you!